Submit nominations for anyone you feel deserves an Aspen free roof. Aspen staff will review the applicants and determine which are eligible. Voting is open to the public! Share with everyone you know to help your nominee! The winners will be notified; the website and social media will be updated. 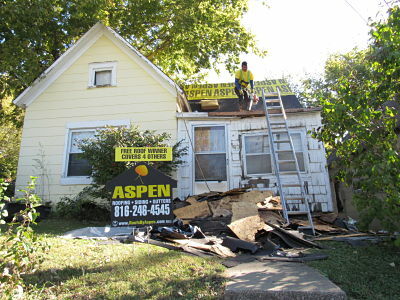 Aspen will work with the homeowner to quickly get their new roof installed! 2018 C4O Winners are Revealed! Click here to see the 2018 winners! Nominations for 2019 are now open. Voting is Summer 2019. The announcement will be made Wednesday, Sept 11th 2019. Thank you all for participating, check back for more photos and please participate in 2018! 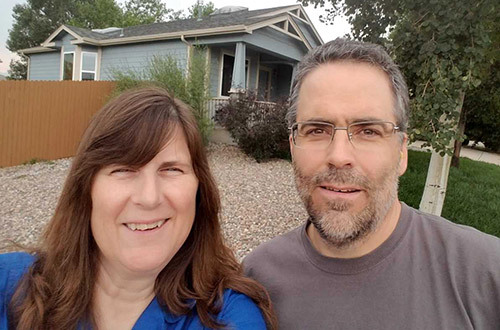 Dave relocated to Colorado Springs as a result of the military. He has lived in his home for over 15 years and he is not financially stable enough to cover the hail damage to his roof after a recent hailstorm. Insurance company will only cover half the cost. Ashley is a single mother of two young boys. The recent hailstorm in Collinsville, IL put her in a very tough spot. Her car was totaled from the hail damage and she won’t end up getting much after filing a claim to repair her home of 6 years. Unfortunately, she plans to use the money for her car to repair her home, which has badly damaged siding and gutters, as well. Her roof has already undergone several prior repairs and patches to prevent it from leaking over the years. A new roof would lift the financial burden and stress of securing funds to have it replaced. The relief of this burden will allow her to focus her financial resources on the immediate needs of the children, such as clothing, sports and school supplies for the upcoming school year. 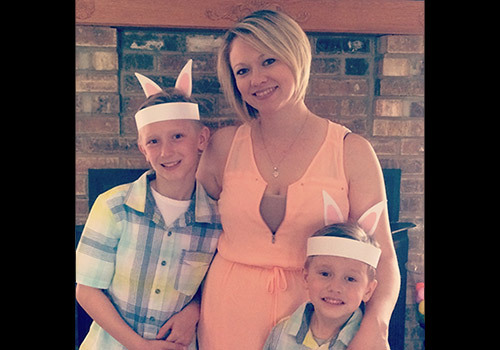 Dawn is a newly single mom, transitioning back into the work force after being a stay at home mom for over 9 years. Her home of 11 years is in need of desperate repair. She has been struggling to find work since seperating from her husband a few years ago. About 5 years ago the ceiling in her daughter’s room began leaking and deteriorating. A family friend replaced the roof and the ceiling and walls within the room. Several months later it started leaking again. She has since found mold on the inside of her porch as well. 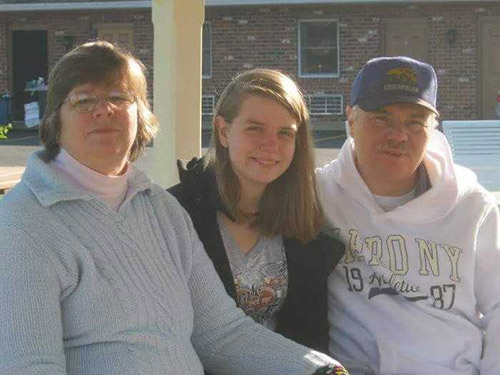 A new roof for her family would allow Dawn to focus on other parts of her home that need repair. Terry is a humble caregiver and single mother of 4. She lost one son in a tragic camping accident along with 2 adult disabled children suffering from Batten’s disease (a rare genetic disabling neurological disorder). 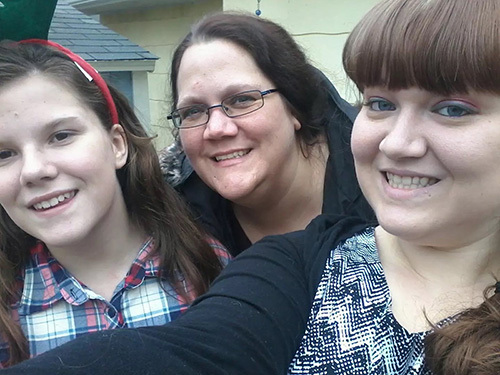 One son is wheelchair bound and blind; one of her daughters’ is unable to stand alone. Both are vulnerable to sickness and need constant care from Terry, to help maintain their emotional, spiritual and physical well being. Daily trips to Children’s Mercy hospital are a normal occurence for the family. They barely get by with limited resources for their basic needs. Their home is in desperate need of repairs, including a roof that hasn’t been touched in 25 years. Terry is a true testimony of what it means to be humble, loving, giving and even more substantial, very appreciative to anyone providing assistance. 29 years ago Dave & Penny began their married life in a fixer-upper home. Throughout the years, Dave has worked tirelessly to repair and make changes to their growing family. They have two daughters that started to incur some medical troubles forcing their home to take the back burner. They give much of themselves to helping others. Their kindness and loving spirit shines upon everyone they meet and this would be an amazing way to give back. Heather is an amazing young woman. 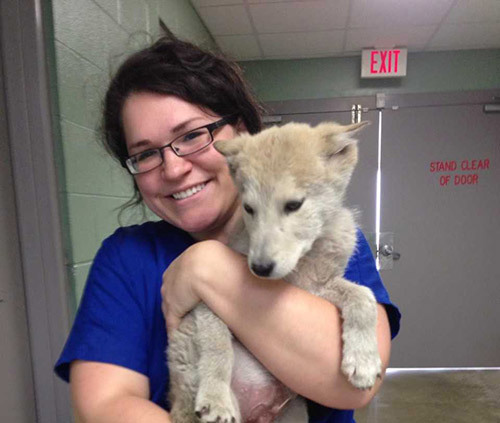 She works part-time for Greenville County Animal Shelter and is studying to become a Veterinarian Technician. She purchased her home through a foreclosure 2 years ago. She worked daily with her sister for over 5 months for the inside to become habitable. There wasn’t enough money to go around for the outside. She struggles to pay health insurance and her medication expenses are extremely high. Working part-time and going to school is very difficult. She picks up every shift she can at the shelter, but she needs a break. Ryan and Sonya from Cleveland, TN. 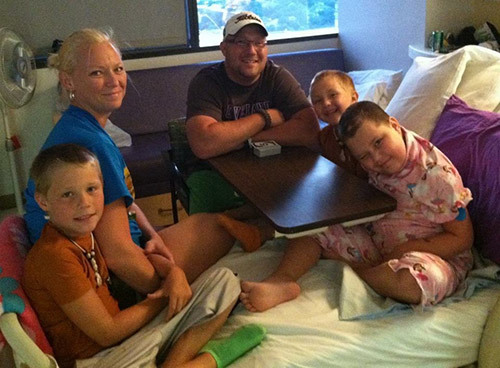 They have 3 children, and their daughter Autumn was diagnosed with brain cancer in 2008 at the age of 4. She underwent several brain surgeries to try and remove the tumor in the middle of her brain, which did not remove all of the cancer. She started a chemo treatment every week for 15 months. Less than a year later the tumor came back, leaving her with no vision in her right eye and very little on the left. She endured another year of chemo, which didn’t affect the tumor at all. In 2012 they packed up their family of 5 and drove to Houston, TX to visit MD Anderson Cancer Center, one of the best hospitals in America! She underwent a 22 hour brain surgery at the age of 8, which by a miracle, the surgeons were able to get 95% of the tumor! Unfortunately, she lost a great amount of blood and suffered a massive stroke leaving her paralyzed on the left side. She endured proton radiation to her brain everyday for 6 weeks to kill the remaining 5%. This damaged her pituitary gland that controls her hormones. They finally came home in 2013 after months of intense physical, occupational, and speech therapy which helped her regain some of her strength on the left side, enough to be able to walk with a brace on her own! They want the best for their daughter and the best treatment possible for her to be able to live a normal life . However, all the expense of her treatments, surgeries and other cost have drained any money that they could use for home repairs. They are in desperate need of a new roof . They are a deserving family in need. Kathleen has lived the community since 2003. Many of her neighbors know her because she is in charge of the community garden. She teaches the neighborhood kids about gardening, and she is excited when she is able to send them home with fresh veggies that they have helped grow. When storms come through the neighborhood, she is always willing to lend a hand or a tool to help her neighbors clear any debris. 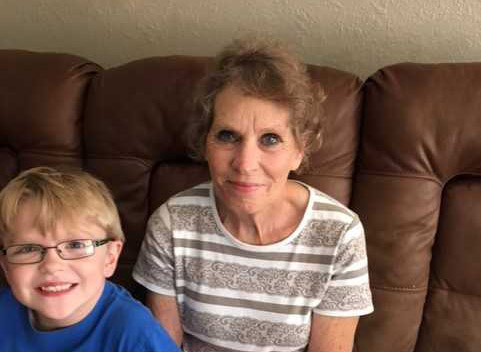 Before she was forced to medically retire, Kathleen worked as a nurse in the cardiac unit for 18 years to support her three sons after her husband passed away when they were very young. She lives on a shoe string budget, going without luxuries like air conditioning in order to make ends meet. She doesn’t complain about these things she doesn’t have; I only know because I asked. 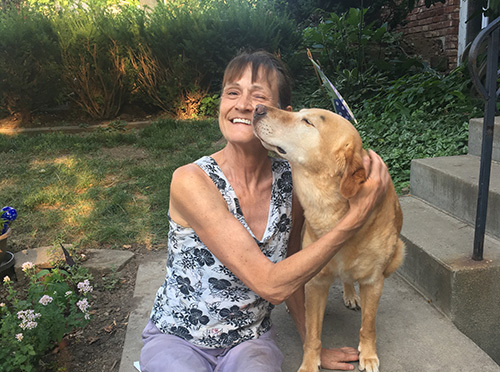 If I hadn’t asked, the only thing I would know about Kathleen is that she meets every day head on, never allowing her medical history to become a crutch and always staying positive, regardless of the trials in her life. Every time I speak with her, she tells me she has so many blessings and so many things to be thankful for. Over the course of the years, Kathleen’s community has had several storms that have required many of her neighbor’s roofs to be replaced. Her insurance company continues to feel that her shingles, though defective, do not have any storm damage. In addition, it isn’t realistic for her to fit her deductible into her budget even if the roof were approved. Kathleen has been a blessing to so many people in her life. I truly hope Aspen can be a blessing to her. 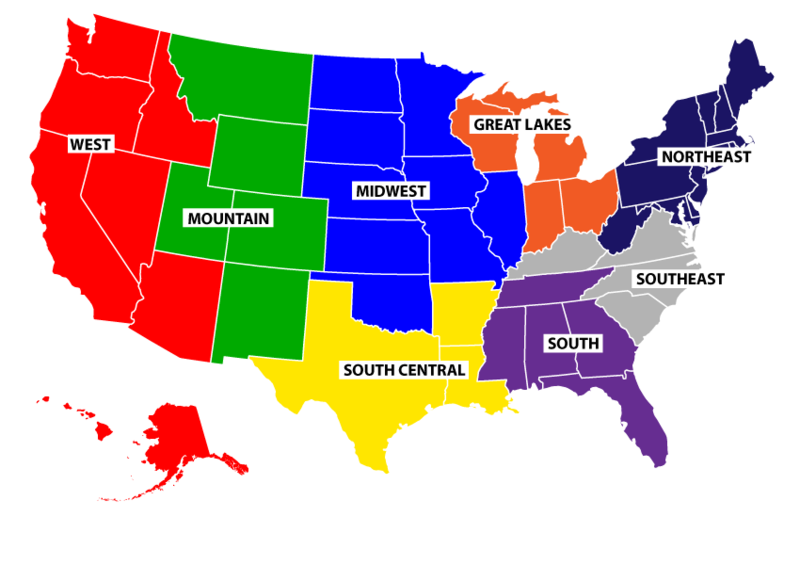 Click on a region of the map below to see the nominees from each region. How long has Covers 4 Others been established? Covers 4 Others was established in 2015 with the mission to support the communities we live and work in. We saw a crucial need for roof repairs and wanted to contribute to solving this issue that burdens far too many homeowners and their families. How does Covers 4 Others work? Each spring, we invite the public to nominate members of their community who they feel deserve a new roof. Past recipients have included military veterans, first responders, those who have experienced hardship, and underinsured homeowners. We select a final group of nominees and then invite the public to vote on the finalists. After voting, evaluations ensue and the final recipients are selected. Once installation begins, we invite the homeowners and their neighbors to revel in an installation celebration. Are the roof installations or roof repairs really free? Each Covers 4 Others recipient is awarded a 100% free roof. We are fortunate to have national and local sponsors contribute to funding Covers 4 Others each year. Some of our past sponsors have included IKO, SRS Distribution, Owens Corning, and Tamko Building Products. The materials donated by roofing manufacturers are used on each Covers 4 Others recipient’s home, and other donated materials support our team in getting the job done quickly and efficiently. Anyone may submit a nomination. There are no restrictions on eligibility. Self-nominations are accepted, but we encourage you to stay true to the mission of our program and nominate a deserving member of your community. How do I nominate a deserving individual in my community for a new roof? Go to www.covers4others.com and follow the step-by step directions. Are there eligibility requirements for the person I nominate? Nominees must own a single dwelling home in the United States. Nomination submission begins March 1st with the deadline on July 31st. Anyone may vote. There are no restrictions on eligibility. There is no limit to how many times you may vote. To ensure the best voting turnout, it’s a great idea to invite the nominee, your community members, friends and family to vote, too! How will I know if the person I nominated is selected as a final recipient? Recipients will be announced on covers4others.com on September 11. Aspen Contracting will issue a press release in your community, announcing the winner. Our website will be updated throughout the process, and you can also keep up with Covers 4 Others via our social media outlets. Follow us on Twitter at @AspenCont, like us on Facebook at @roofsbyaspen and follow us on Instragram at @roofsbyaspen. You’ll know it’s us when you see the Aspen leaf. We appreciate your interest in sponsorship. Our sponsors allow us to give as much as we can to each Covers 4 Others recipient and the community they call home. Please email marketing@roofsbyaspen.com and mention ‘Covers 4 Others Sponsorship Opportunity’ in your subject line. Giving back is one of our core values at Aspen Contracting, which is why we have a program that supports the communities that we live and work in. 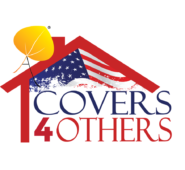 This program, called Covers 4 Others, allows you to help provide a free roof to someone in your community. There are many folks in our communities who would benefit from an act of kindness. These individuals have either served our country, our neighborhoods, our children in need, our seniors or someone who has experienced a hardship. 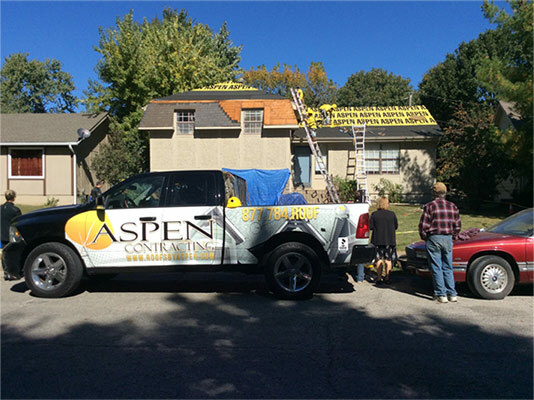 Aspen Contracting has been able in the previous two years to bless 25 homeowners with a safe, dry and attractive roof over their homes. In our third year of the program we hope the public will vote and help us give back to other deserving families across the country. Thanks to our sponsors for making this happen.